The kids are in school. The moving dust has settled. My studio is in a workable condition for now. It was time to dust off all of my machines and pull out some stash. It's always a rough start when you are on hiatus from quilting. 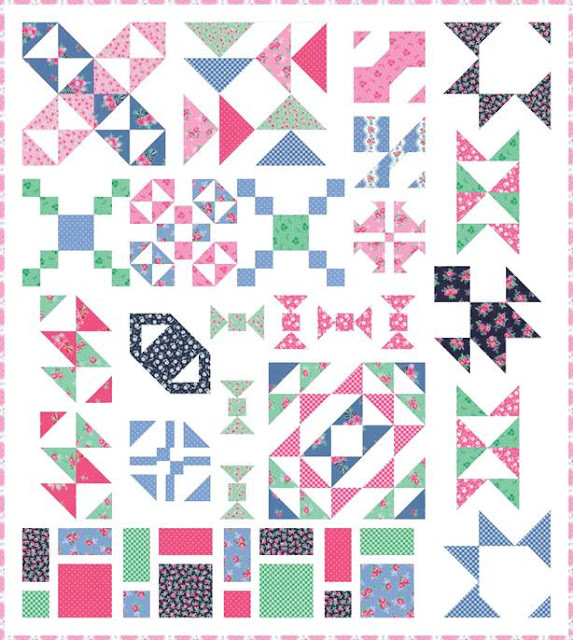 I'm grateful for Fat Quarter Shop offering me an opportunity to join in their new book Perfect 10 Quilts quilt along so I can jump right back in! 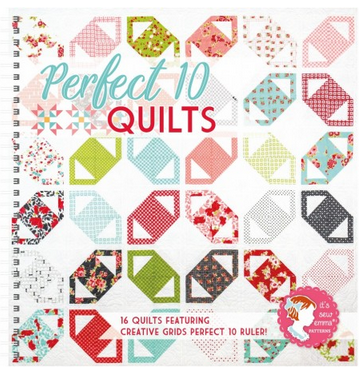 Perfect 10 Quilts is another book by Its Sew Emma that focuses on layer cake patterns and you will never hear complaints from me when it comes to their patterns! Join the fun quilt along starting next week! I’ll be working on the sampler quilt every week using blocks from each of the quilts using these fun fabrics from my stash! I'll be joining other fabulous quilters along with Fat Quarter Shop at Jolly Jabber! I highly recommend checking out their progress. It's always amazing how different everyone's quilts are using different fabrics! Isn't this an exciting way for me to begin again?